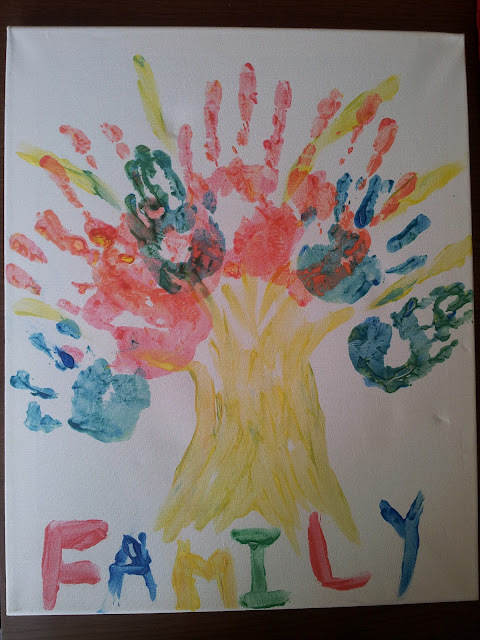 After purchasing a button tree recently (read here) I decided that it would be lovely to create our own family tree masterpiece aswell and to make it even more personal - with handprints as leaves. The kids really enjoyed doing it as it involved getting messy with paint and it was easy to do too. All you need is a canvas and some paint! 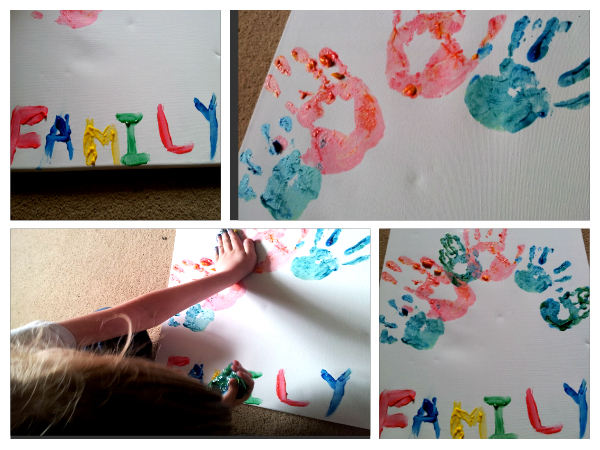 The kids took it in turns to write the letters in 'family' and chose what colours they wanted their handprints to be done in. It may not be perfect but it's special and unique to us as a family. We will be adding it to the wall soon. Have you made any personal artwork as a family? Oh that really is special! That is a real for the wall canvas. Love it. Lovely idea! My mum has been tracing her family tree for a number of years and has managed to go back pretty far! Amazing what she has found out about her ancestors. She often talks to the kids about it too - I think they would enjoy this simple but creative activity! Thanks! A nice idea of making a tree. I've been researching my ancestry and this gives me so many ideas for a way to display the results. I absolutely love this idea! I will definitely be doing this with my little ones for my mum for mother's day - she would love this framed! I love this idea and think I might make one for the grandparents.